Initial production version always contains one card for SR or HR. This is 1 BOX. It would be very worth purchasing. 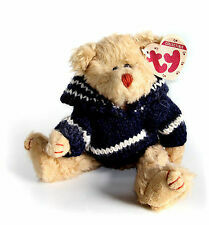 Mr Bean’s Teddy TY With Label Collectible . Condition is Used. But it hasn't been played with, still has the original tags attached, it has been sat on my shelf for a couple of years. Comes from a pet and smoke free home. Dispatched with Royal Mail 2nd Class. Initial production version always contains one card for SR or HR. This is 1 BOX. 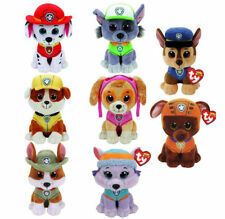 Ty Beanie Babies Bundle with Tags...Good to Excellent Condition..... Condition is Used. Dispatched with Royal Mail 2nd Class. Flippables are plush animals covered with sequins. When you pet your Ty plush, the sequins turn over to reveal a different colour! TY SOFT TOYS. Authorized TY Beanie distributor. Surface Washable for ages 3 and upwards. TY SOFT TOYS. Authorized TY Beanie distributor. Series 2, 12 to collect, One sent at random. Cosmic Gifts have been established for over 25 years. Providing new and unique gift solutions for any event. TY SOFT TOYS. Authorized TY Beanie distributor. Surface Washable for ages 3 and upwards. Cosmic Gifts have been established for over 25 years. Providing new and unique gift solutions for any event. Size 16cm High approx. They are small enough to take with you anywhere. BONGO - MONKEY. 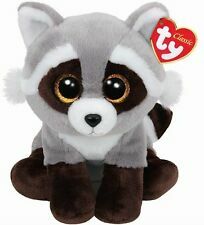 TY BEANIE BABY. MINT - RETIRED. 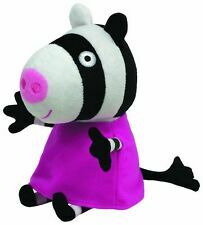 All your favourite characters from Peter Rabbit have been created into a cuddly TY plush, a perfect gift for any fan. 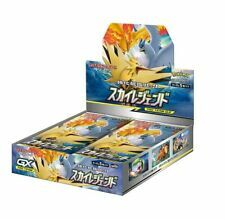 This product contains 242 / SM-P Promo Pikachu card. It will be quite difficult to get this as a collection right now. 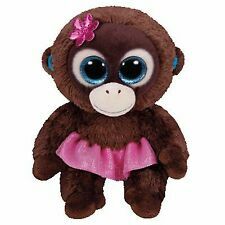 Cute brown & beige monkey with pink inner ears and tail tip holding a pink heart and with large pink & black eyes. 1999 “Cheeks” Limited Edition Ty Beanie Baby RARE! TAG ERRORS! COLLECTABLE! NEW! TY Beanie Baby “Mac” The Cardinal – Rare with 4 Errors Retired COLLECTABLE NEW! Ty Beanie Baby Halo RARE 1998 ERRORS: Brown Nose, Grammar RARE! BEST CONDITION!! 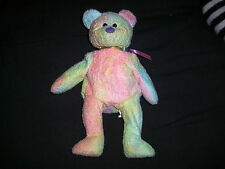 Ty Beanie Baby Rainbow the Chameleon VERY RARE First Run Tag Errors Iggy Fabric! Ty "Rocket" Retired Beanie Baby With VERY RARE Errors Blue Jay COLLECTABLE NEW! 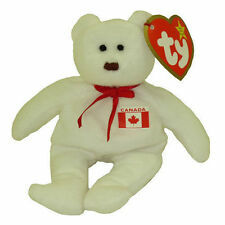 TY Beanie Baby Wise 1998 Retired With Many Errors On Tags. 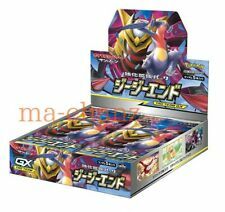 RARE COLLECTABLE NEW!